If you would like to be notified when the American DJ Inno Color Beam 12 becomes available please enter your email address here. 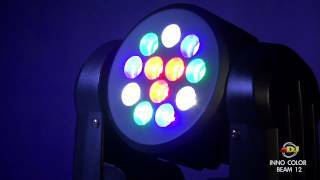 The Inno Color Beam 12 is a compact, high performance 36-Watt LED Moving Head fixture that offers an intense beam effect sought after by lighting designers to help take their light shows to a new level. Featuring 12 high-quality CREE LEDs — 3 Red, 3 Green, 3 Blue and 3 White — the Inno Color Beam LED 12 mixes colors with unrivaled smoothness and precision, and also has the capability to go all white. It’s 15° beam angle is narrow enough to penetrate virtually any performance environment with vivid swaths of colored light. This professional-quality fixture will allow virtually any entertainer, club owner or stage show to take their visual presentation to the next level with the high-impact beam effects that have become so popular among today’s top lighting designers and major productions. This unit is compact and light weight and offers plenty of pro features such as: 2 DMX Channel Modes (9 or 16 DMX Channels), Stepper Motors for smooth movement, 4-Button LED DMX Menu and 12 built-in Color Macros. The Inno Color Beam 12 is also great in Sound Active mode with plenty of exciting built-in programs creating instant light shows. Plus, non-DMX users can use the easy-to-use UC3 Controller to operate this fixture. 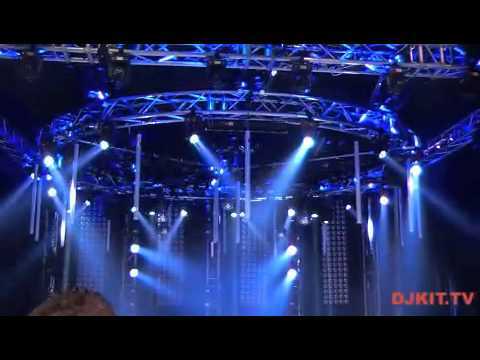 Considering purchasing the American DJ Inno Color Beam 12? Have questions? Ask people who've recently bought one. Do you own the American DJ Inno Color Beam 12? Why not write a review based on your experience with it. 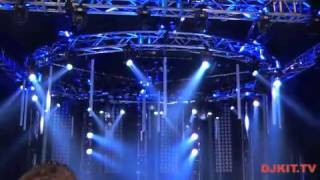 Seen a video for American DJ Inno Color Beam 12 online or have you own video? You will earn 940 loyalty points with this product worth £2.35, when logged in. 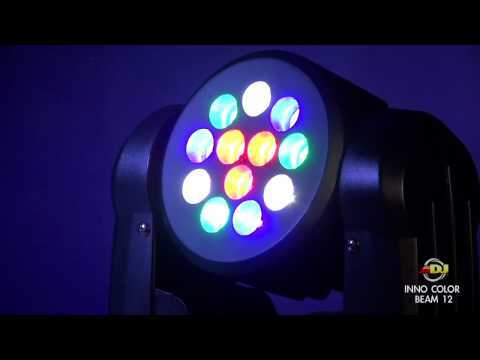 Check out American DJ Inno Color Beam 12 on DJkit.com!